Hey beauts, I hope you are all having a very relaxing Sunday so far! My dog woke me up around 7 today which was just lovely. So I thought, well why not work on a blog post if I can’t go back to bed! So we have the makeup down pat for spring as there are so many beautiful looks we can create, but what about spring fashion, let alone fashion in general? I have always loved looking my best whenever I go out anywhere. Would I say that I have the best fashion in the world… probably not. I always look up on Pinterest different outfit ideas for whatever event it may be, and it always seems to be on par. There is, however, one individual whose fashion sense is always right on point, that would be the gorgeous Melissa Ashburn. I know Melissa and have met Melissa before through my cousin, and she is honestly such a sweet girl. One of the first things that stood out to me about her was indeed her fashion. You know how certain things become second nature to us? That was exactly how I felt and I was so jealous how someone can look so good all the time! I had the amazing opportunity to do a collaboration with Melissa Ashburn on her journey through her blogging site, modelling experience, and strong passion towards fashion! 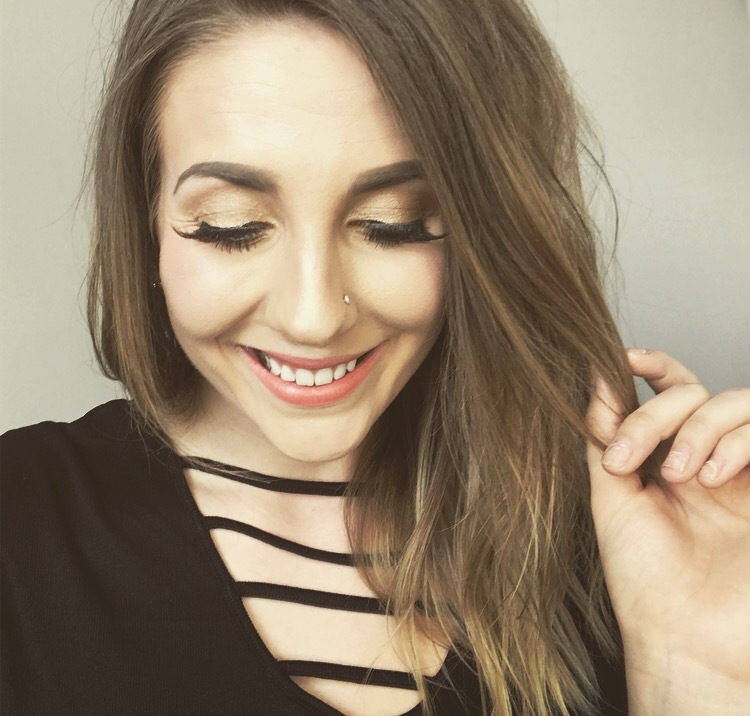 Some of you guys may know Melissa as “theblondecloset“, where she posts all her daily fashion blogs and keeps us up to date with the latest trends. 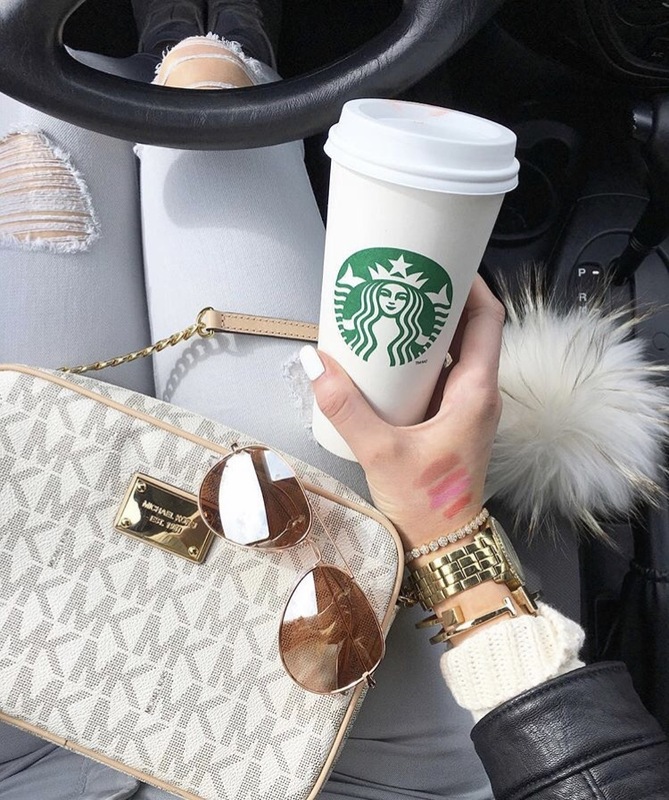 Melissa is a 24-year-old fashion and beauty blogger. She has been blogging since April 2014 and states, “the first two years of my blog were kept very quiet. I never really told anyone about (including most of my friends) until last year”. I began right away asking Melissa what had inspired her to create , “theblondecloset”. Melissa explains, “for me, it played back to my modelling days a lot. My favourite part about modelling was being in front of the camera on photo shoots, but unfortunately, because of my height (I’m extremely tall) I got booked for mostly runway – which I hated. So I wanted to create a place where I could be in front of the camera as much as I wanted and because I was so into fashion I thought I had a purpose to do so. I worked at a clothing store at the time and I saw how so many women struggled with putting full outfits together, and always asked for help. So I figured if I can help them in person, why couldn’t I do the same online? And that’s how it all started!”. That is so interesting! For sure I believe Melissa was driven towards creating her own blog and I love how her height didn’t stop her. Not being able to do something you want to do often brings people down, but in this case, it geared her towards another successful direction and path. Discussing her blog, Melissa blogs three days a week, Monday, Wednesday and Fridays. So be sure to expect a new blog coming shortly! Often I find it helps when you are following certain people on social media who inspire you and help you think of ideas for your blogs. Melissa states, “I’m obsessed with Caitlyn Covington and Emily Ann Gemma, their styles are very similar to my own so I tend to love everything they wear”. Following this discussion, I was extremely excited to actually get into the topic of Fashion. I know I have a lot to learn, so the more help the better, thank goodness for Melissa! When did you first develop an interest towards fashion? “I have always had a love for fashion, when I was a kid I would cut up the old clothes that I was bored of and make them into other things. I turned jeans into purses, and t-shirts into shrugs… I would even embroider beads onto my “designs” all by hand!” WOW! I wish I was that talented to do that! I probably still could not even do that at this age! I am literally so mind blown that a child could think of this, leave it up to Melissa! Has working at a clothing store influenced your fashion sense and inspiration for your blogs? “It has definitely influenced my fashion sense, but I think more so when I first started 5 years ago(I was 19) than now. The store I work at is a little more elevated so my style definitely matured a lot faster than other people my age, at the time”. I was also highly interested in what Melissa’s favourite go-to outfit for day time and night time looks were. Melissa explains, ” my favourite go-to outfit would have to be my high-waist dark wash denim, a drapey tee and a leather jacket. At night I would just swap out the tee for a silk cami and throw on some red lipstick and I’m good to go!” You can’t go wrong with that! I love how simple and easy it is to just switch certain articles of clothing depending on if it is a daytime or nighttime look. Piece of advice you would give someone just starting out with fashion? “The three piece rule! In order for any outfit to look put together, it must have three pieces. For example, your pants are one piece, your shirt is one piece and then you need to add either a jacket/blazer as your third piece OR it can be a bold accessory (dainty accessories don’t count). So a scarf, belt or statement necklace could also act as your third piece to complete the outfit”. Now beauts, we are going to be moving on to the topic of modelling. I have known that Melissa was involved in modelling, but did not know the ins and outs of it. I thought it would be neat to ask her a few questions in regards to her modelling. Melissa has been modelling for 4 years now, but unfortunately decided this was not the route for her. Melissa explains, “it depends on the person but for me, there were some major cons that outweighed the pros when it came to modelling. Models don’t get paid for 3 months after completing jobs, and the jobs aren’t consistent so I needed to have a part-time job (working retail) in order to have a steady paycheck. However, agents don’t like when you have another job because then you can’t be as flexible with your time, and I never heard the end of it”. Oh jeez, I never really knew that but it is good to know! I can see your frustration in that Melissa, as I would be very frustrated too. That would be extremely hard to keep a steady paycheck only relying on modelling at the time. Although there are some cons when it comes to modelling, there are always some pros. Melissa states, “the pros from me was photoshoot days, and the awesome people you get to meet. Being a fashion lover it was amazing seeing the behind the scenes of fashion shows, and high–end events. Also, having my hair and makeup done all the time wasn’t so bad either!”. I would honestly not mind my hair and makeup being done, I would be in absolute heaven that is for sure. It’s interesting because I always saw the pros of modelling and considered them, but never really thought about the cons. It is always nice to have that insight on these things. What type of modelling did you do? “Runway, editorial, commercial, and events”. I was very curious to know how Melissa go involved with modelling, I mean, who doesn’t want to know that! Melissa shares, “my whole life I was told by my family, friends, and may strangers (lol!) that I should be a model because of my height. And I was so in love with fashion that I thought it would be a step in the right direction for my hopeful career in the fashion industry”. Have you guys ever wondered what models are allowed to eat or if they have a restrictive diet? I thought this would be beneficial to ask Melissa if she was put on a diet and so forth. Melissa states, “I was, but at the time it wasn’t so much of a diet as it was a lifestyle. I ate clean and worked out almost every day, and because of that my body just stopped craving all the bad foods, so I wasn’t really ever tempted by them”. I can see this happening for sure. I heard this a lot of times that sometimes you stop craving bad foods when you are so used to not having them. This goes the same way for me when it comes to pop. I used to drink pop every single day, and now since not having it for a long time, I do not crave it anymore. So interesting how that works! How much time did this consume out of your day? week? “Modelling consumed a lot of time but mostly because all of my jobs and castings were an hour away from where I lived. So a quick 10-minute casting ended up taking me 2 hours and 10 minutes, and you don’t get paid for that!”. I can only imagine how much time modelling is, and I am not even a model. Wow, you do not even get paid? That’s crazy! You got to do what you got to do sometimes, and that is just what Melissa did. When I had reached out to Melissa, I thought that she was still involved in modelling, but I was unaware that she had quit. I was curious to find out what had happened and what made her change her mind about modelling. Melissa explains, “I quit modelling because it got to a point where I needed to decide if I was willing to move to Toronto and take it serious, or just quit. The commuting was taking up too much of my time on top of everything else. I ultimately decided I would quit since I didn’t enjoy doing runway, and that’s what I was getting booked for the most. I then started my blog to incorporate everything I loved about editorial modelling and my love for fashion into one passion project!” You have to do what is best for yourselves, and I am very proud of Melissa for taking the time to notice that she was unhappy. You have to listen to your mind and body. Although Melissa quit modelling, she has numerous year of experience that she was involved in which is amazing and admiring! Best piece of advice someone has given you in regards to fashion/modelling/blogging? “My best piece of advice for modelling would be to take a course before you get into it for the first time. I gained so much self-confidence just from taking a course, that people in my life noticed a drastic change in me after I graduated it. I built some really great friendships and learned some amazing things that I will take with me through life even without modelling”. I really hope you beauts enjoyed this post! I had a fun time putting it together and learning new information all at the same time. Be sure to check out my other social media sites located on my main page at the very top! (New format, way too stoked for life).Now I don’t have to type it out every single time…goals. Hello my beauts, I hope you are all doing well and dandy! I have been super busy lately with work and actually trying to decide what to blog about next. I came up with a few good ideas recently as I have gone on several shopping sprees! Normally, I would not really do any fashion hauls or try-on hauls, just because it’s not my forte. I went to the mall not too long ago and decided to go into one of my favourite stores, Forever 21. I honestly love going into this store, and have found quite a few nice things recently. I used to think that Forever 21 was either a hit or a miss, sometimes they have really weird and “out there” clothing. When I recently went there, I found so much nice clothing pieces that I literally could’ve kept on spending and spending if I didn’t cut myself off. I decided to share the clothing that I purchased with you beauts, just to give you guys an idea what Forever 21 has right now, and what sorts of outfits I have been loving for the summer time. I absolutely love how big the Forever 21 is in Limeridge mall, there is just so much to look at and I could spend hours in there just browsing! The first outfit that I decided to try on and purchase was this super cute Casual and Comfy skirt and top. I absolutely love the design on the skirt, and the material is super comfy. I also love the belt that comes attached to the skirt, it helps compliment the outfit. I paired the skirt with a plain and simple stretchy black crop top. This style of top came in a bunch of different colours, but I thought that you could pair black with anything, what is one more black top, am I right?! The next outfit that I am going to share with you guys is super cute! I absolutely love the look of dress shorts, and really did not own a pair of my own! I saw that a lot of people all over Pinterest were wearing shorts of this style and was so happy when I came across a pair at Forever 21. I personally do not know if they are meant to be high waisted but I decided to pull them up anyways! You can pair this with basically any crop top. I decided to use this super cute knot tie crop top that I had purchased from Forever 21 as well. I also decided to try this dress shorts with a plain white crop top that I had purchased from Forever 21 too. I love how there are buttons going down the front, so cute! The next outfit I decided to go for a more girly & flirty look! I decided to go a bit out of my comfort zone and purchase some floral loose shorts. I absolutely love how comfy these are and how nice they are high waisted. There are many different colours that you can choose from when it comes to matching the flowers in these shorts. I love love love this crochet crop top! I was so happy when I had found it, and decided that I needed to purchase it right away. This looks unreal with the shorts, and adds extra definition to the whole outfit. Like I said, you can wear other colour tops with these high waisted shorts, I decided to go with the beautiful tie knot crop top that I had mentioned earlier. The next outfit I decided to go for a more casual look with the high waisted retro shorts.Unfortunately I did not purchase these shorts however from Forever 21, but I did go the same shopping day and found these on sale at Garage. I absolutely love the salmon colour on anything, and knew that I had to get these right away. I love the way the navy blue looks on these shorts, and luckily I had bought two navy blue crop tops from Forever 21 that matched perfectly. How cute is this crop top? It ties on both shoulders into a knot and looks super classy! I also paired these high waisted retro shorts with the crochet crop top in navy blue that I had purchased and discussed earlier. When I was browsing through Forever 21, I had noticed this really cute oversized sweater just chilling on the rack. I am pretty sure it was in the wrong spot as there was only one there, but I had to get it! How cute is the back? You can pair these with some jean shorts and voila you are all set to go! I absolutely love the colour of this sweater as well. I was also playing around with different outfits that I could put together with some of the crop tops that I had purchased and came across this casual one. If you do not own any of these kinds of pants, I highly highly recommend it. They are super comfy and literally look amazing with crop tops or even just a plain t shirt. I am a daycare teacher and always get compliments when wearing these pants. I purchased mine at Garage for $30.00 each and bought one in black and the other in olive green. I decided to pair the olive green pants with the black stretchy crop top that I had purchased from Forever 21.